Do these statistics ring true for you? 67% of women surveyed1 feel misunderstood by their advisor. Investment advice offered through Stratos Wealth Partners, Ltd., a registered investment advisor. 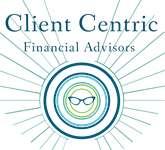 Client Centric Financial Advisors and Stratos Wealth Partners are separate entities from LPL Financial.